Each autumn the Japanese Maple leaves fade in color & curl into delicate spidery shapes that look lovely scattered among the golden leaves from our other trees. This bracelet is 7 1/2" as shown; the kit will make a bracelet up to 9" in length. 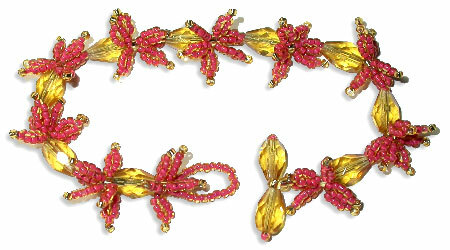 Full kits are available at www.patternstobead.com.